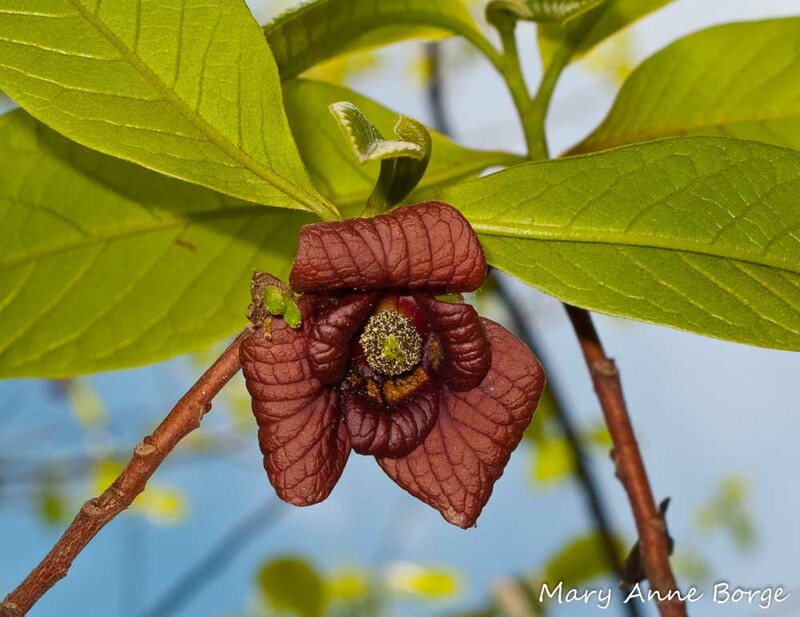 This entry was posted in Butterflies, Gardening for Wildlife, Native Plants, Other Animals, Other Insects and Spiders and tagged Asimina triloba, nature, Pawpaw by Mary Anne Borge. Bookmark the permalink. 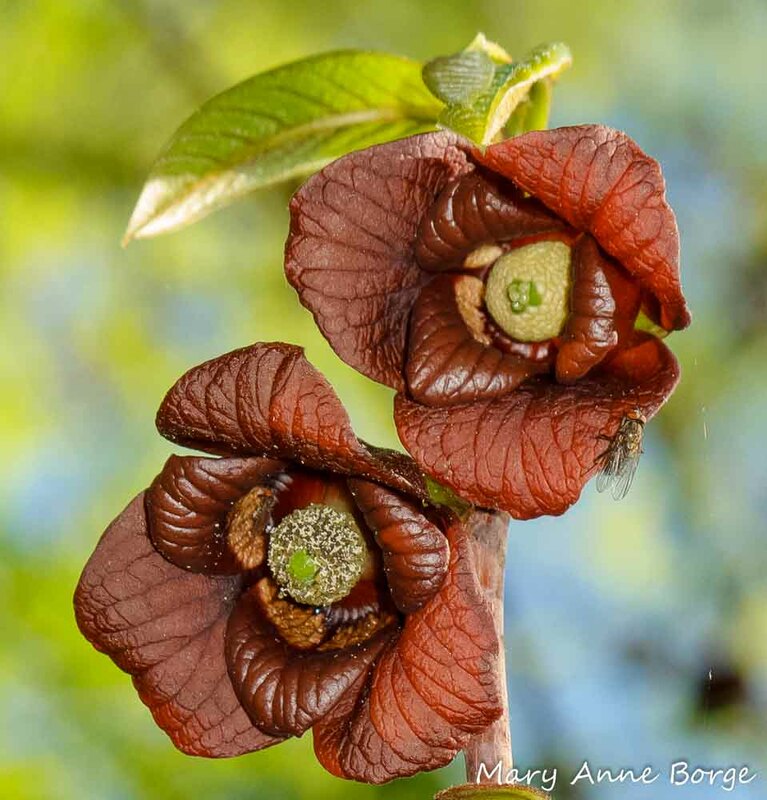 I always learn something new from you, Mary Anne. I didn’t know about the medicinal properties of the paw paw fruit. All together a fascinating post. Thank you. With nature, it seems like there’s always something new to learn! I’m glad you enjoyed the post. Sitting here eating a paw from my tree, so getting a kick out of the comments. Reason not in stores I think, they don’t really ripen correctly off tree, best ones- grab fallen ones before raccoons get them. 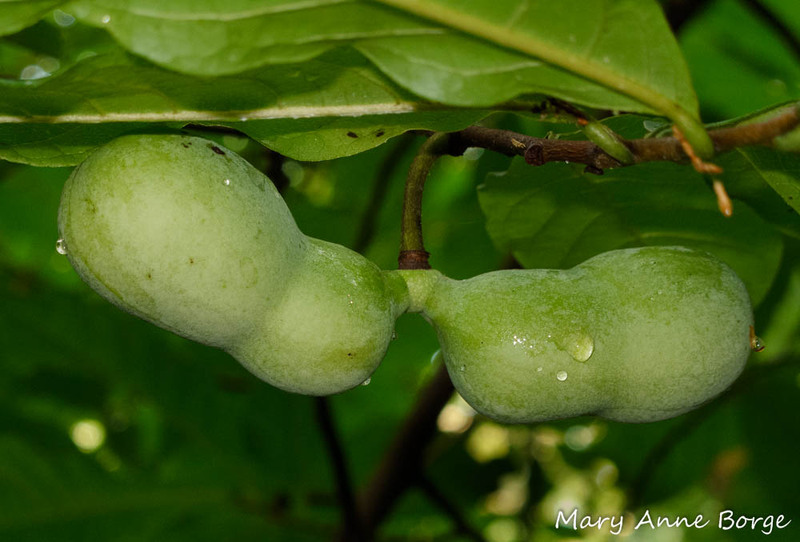 As for what they taste like, well, they taste like paw paws, quite unique. Thanks for great article, Mary Anne! 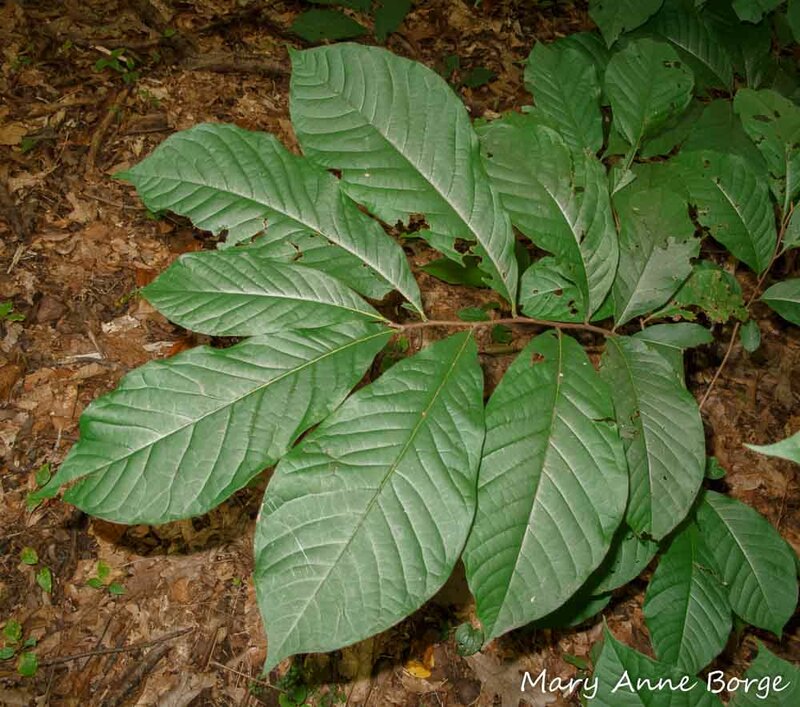 I planted 3 Asimina Triloba Pawpaws in my backyard. I’ve been fascinated with them ever since I first found them on the C&O Canal in Maryland and could not believe the amount of wildlife that ate these fruits. I guess it depends on where you plant them but getting them started is not easy; they don’t transplant well unless really small seedlings or you can grow from seed. 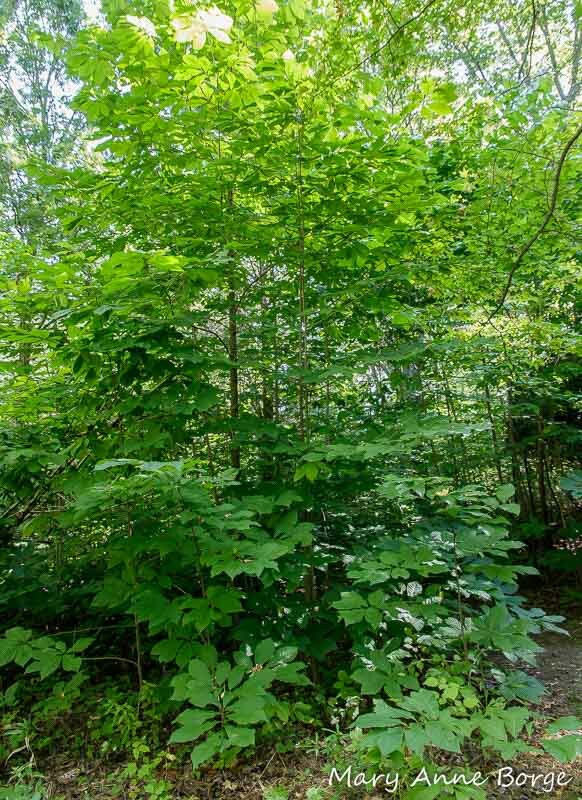 The young trees are understory and sensitive to ultraviolet radiation and then as they mature they stretch out into direct and filtered sunlight and I am told they fruit better if in sunlight. The people I knew who grew them would hang chicken necks by each blossom to encourage the carrion beetles and flies to find the blooms. I’ve also read you can hand pollinate with a small paint brush. I planted mine mainly to attract Zebra Swallowtails. Great post to read. I’ve also read that you can hand pollinate them. Chicken necks! That’s creative, and much less work than hand pollination. You’re much more likely to get viable fruit if you have plants from genetically different parents. 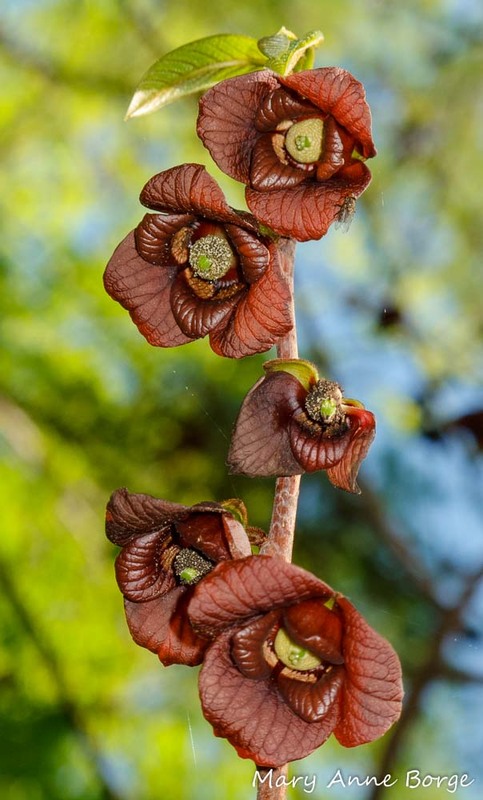 Plants from the same colony may not be compatible. It’s not readily available in stores yet, but it might be in future. Meanwhile, you can grow your own if you have the right space for it.